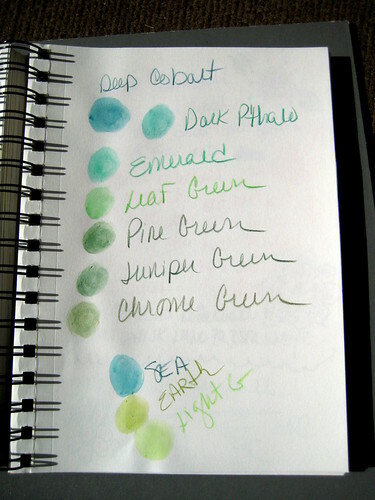 A while back, I decided that I wanted to add a few colors to my current selection of Albrecht Durer Watercolor Pencils. Rather than starting off with a pre-packaged set, (because I enjoy using a specific palette) I bought them individually and now I wanted more. 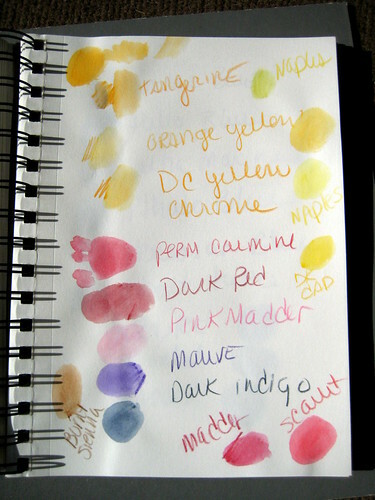 I had initially bought a selection of colors I thought I would use but I hadn't tested them in the store using any water. This time I went with a sketch pad, my own set of pencils, and a filled waterbrush and tested about 50 different of the AD pencils against the ones I already had. Luckily I got away with only buying 7 more. I did make sure to notify the store manager when I first walked in that I was coming in with a selection of my own pencils so I could compare them with the new ones. After sharpening my lot of AD pencils, I saturated this page in my Cachet watercolor book and spilled the shavings all over the page.... Looks kind of neat doesn't it? I love the shavings on the page. Next time I need sharpen mine I'll have to remember this. 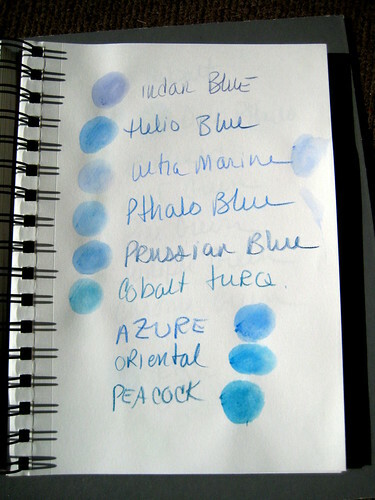 Pretty original approach for shopping for watercolor pencil refills. Though personally I like having the tins to keep them organized, so I tend to shop for sets.